Are you ready for the school fees? I don’t just mean for 2016. I mean for university. Education inflation has been, for the last several decades at least, 4 times higher than normal inflation. Education at a top quality university, can already set you back $40, 000-75,000 USD per year at today’s prices. What will be there price in 10 years when your child is ready? One final thing: It doesn’t need to have “education savings plan” on the wrapper. It is the solution that counts, not the marketing. Why does access to my money matter? Let’s ask the reverse question. Why should lock your money up, be a benefit to you? It’s not benefit. It’s a restriction, and should be treated like a cost. Despite the illusion of control we all have, we never really know what the future will hold, so locking your money away so you can’t touch it without a costly penalty is not in your best interest. Should I use an Insurance companies “Savings Plan”? Not these days. Perhaps as late as 5 years ago, unit linked insurance “savings plans” were a competitive offering. These included investments like those from Generali International’s Vision and Aviva International’s Global Savings Account (GSA). With exchange traded funds becoming mainstream over the last 7-8 years, however, they are no longer competitive. Like Nokia or Blackberry, technology has improved, but they haven’t. Exchange traded funds (known as ETFs) are a much lower cost solution than mutual funds. With the advent of exchange traded funds to the mainstream about 7 years ago, a humble stock brooking account from an online discount broker is the cheapest and most flexible solution available. Now you won’t find many advisers working with these solutions, since there are no large hidden commissions. It is a fee-based business that keeps the adviser focused on delivering good returns for the client. Most advisers’ key competency is sales, not management, so you can see how this new paradigm makes them uncomfortable. They need to evolve. So in summary, what sort of Education Savings Plan should I get? There are several online discount brokers around. See Barron’s for a list. If you keep those four simple things in mind, then you can start saving and investing for your children’s future, safe in the knowledge that you have the world’s best investment approach. 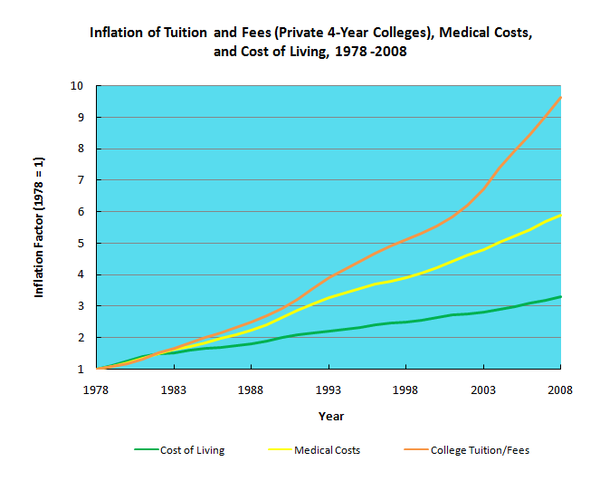 Ignore the marketing of “education savings plans” and keep the end goal in mind. Growing the pot of money available for your kid. That way, you can ensure the only person getting an expensive lesson is your kid and not you. *Except for Americans who pay tax no matter their country of residence. Americans can consider 529 savings plans, although keep firmly in mind the large penalties that can apply if you don’t use this money on education expenses.